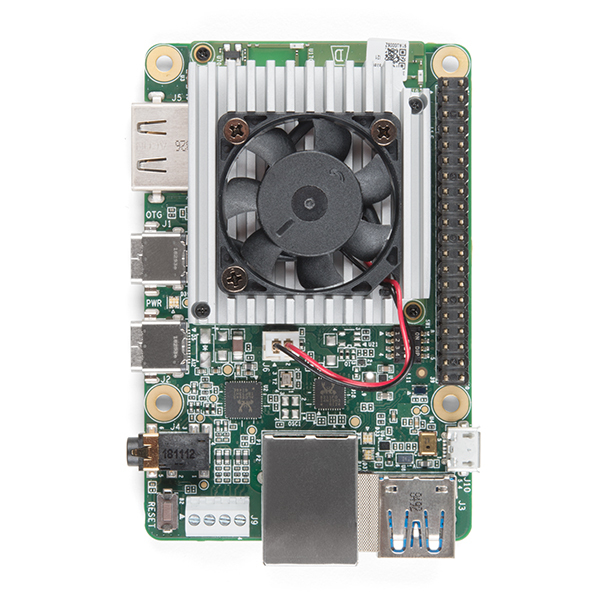 The Coral Dev Board is a single-board computer with a removable system-on-module (SOM) that contains eMMC, SOC, wireless radios, and the Edge TPU. 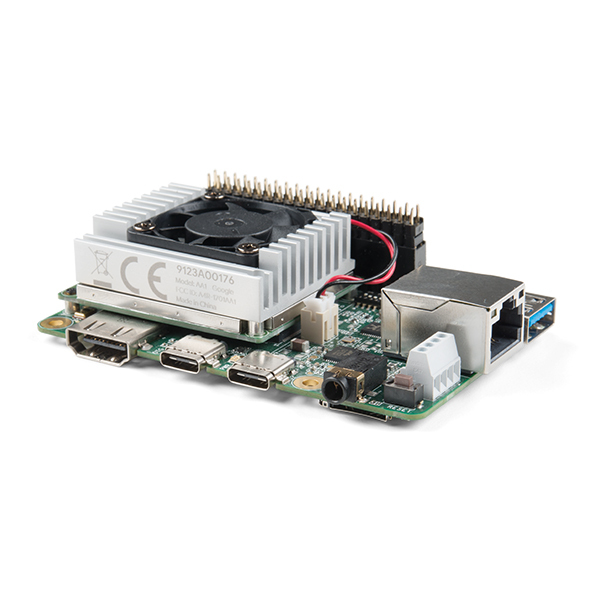 You can use the Dev Board as a single-board computer when you need accelerated ML processing in a small form factor, but it also serves as an evaluation kit for the SOM. 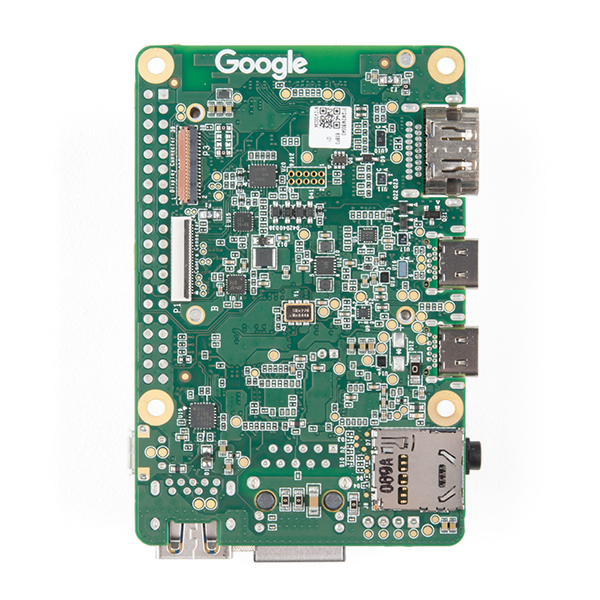 You can use the dev board to prototype internet-of-things (IOT) devices and other embedded systems that demand fast on-device ML inferencing, and then scale to production using just the 40 mm × 48 mm SOM board combined with your custom PCB hardware using board-to-board connectors. The SOM is based on NXP's iMX8M system-on-chip (SOC), but its unique power comes from the Edge TPU coprocessor. 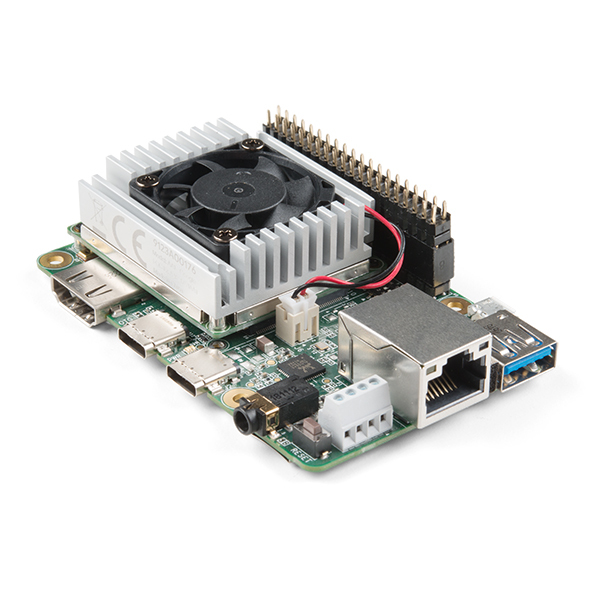 The Edge TPU is a small ASIC designed by Google that provides high performance ML inferencing with a low power cost. For example, it can execute state-of-the-art mobile vision models such as MobileNet v2 at 100+ fps, in a power efficient manner. 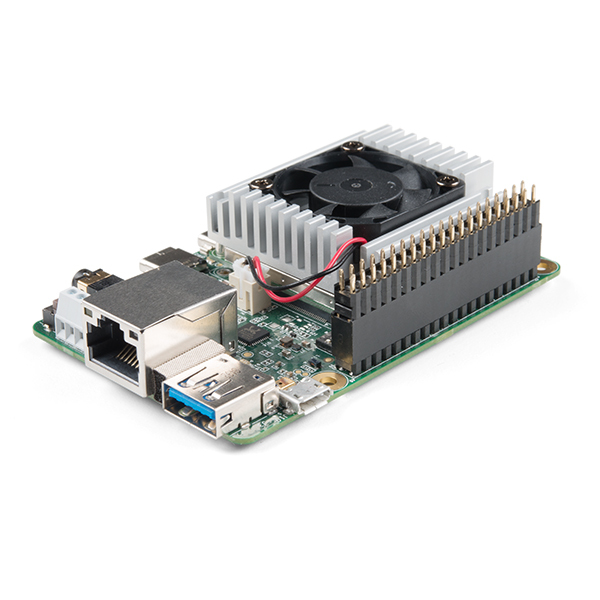 The baseboard includes all the peripheral connections you need to prototype a project, including USB 2.0/3.0 ports, DSI display interface, CSI-2 camera interface, Ethernet port, speaker terminals, and a 40-pin GPIO header. "This product has shipping restrictions to certain countries: -MÃ©xico" Bye bye, Sparkfun.